It is one of life’s pleasures, particularly between late September and early May, to sit in the company of friends and feast on roast meat and all the trimmings. 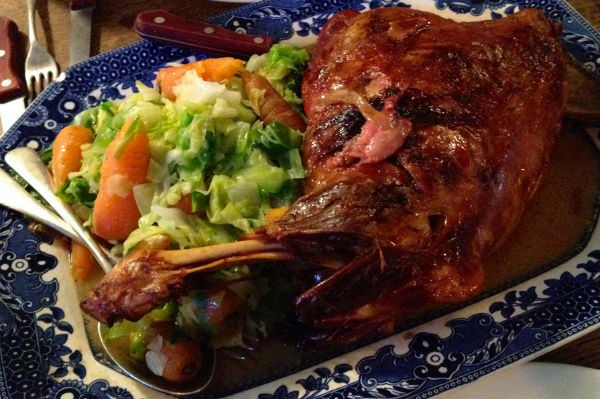 You’ll find a ‘Sunday Roast’ menu being offered by pretty much every pub, gastropub and restaurant across London. Not everywhere is good - kitchens are extremely busy because of the popularity of a leisurely weekend lunch, and I think some struggle to keep up. But there are plenty of places that do a great job. I’ve selected the five below with a reasonable geographic spread in mind. But I want to stress there are others worthy of a look-in too. Check out: The Smokehouse, Islington; The Empress, Victoria Park; Upstairs at the Ten Bells, Shoreditch; Newman Street Tavern, Fitzrovia; Hawksmoor Seven Dials; The Mall Tavern, Kensington; The Anchor and Hope, Southwark; The Parlour, Kensal Rise; and The Anglesea Arms, Hammersmith. I’m sure there are more. It’s worth noting that many places will have finished service by 3-4pm and might not keep their kitchens open in the evening. So don’t be toooo leisurely about things. Call in advance (and, for those you can book, I mean well in advance). This is the model of a modern gastropub: it knocks out dependably good British fare (think pig’s head terrines, Scotch eggs, devilled kidneys on toast, suet pastry pies and puddings to share) but it also remains a great pub (i.e. somewhere to get a cracking pint or glass of wine). On top of that, Sunday lunches are always spot on. I recommend going in a family sized group and sharing a shoulder of lamb or rib of beef joint. Lovely staff. 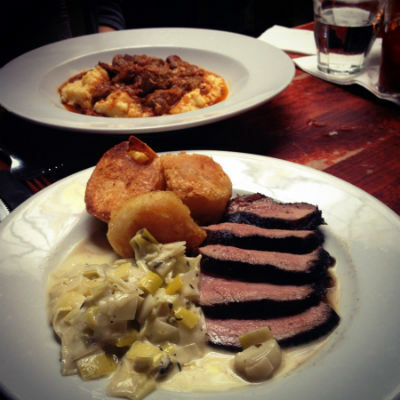 You’ll need to book well in advance to get a Sunday lunch table at the Bull and Last. The fact they have two dining rooms and manage to get two sittings out of most tables shows how popular it is – with good reason. The food is well above average and often excellent – starters and desserts show a bit of flair; the short list of main course options get (for me) the perfect balance between traditional British roast meats, modern techniques and ingredient sourcing. Try to book a seat in the downstairs pub section if you can. If you stay late, you’ll get to see how south west London would do après ski, were it two and a half thousand metres higher up. 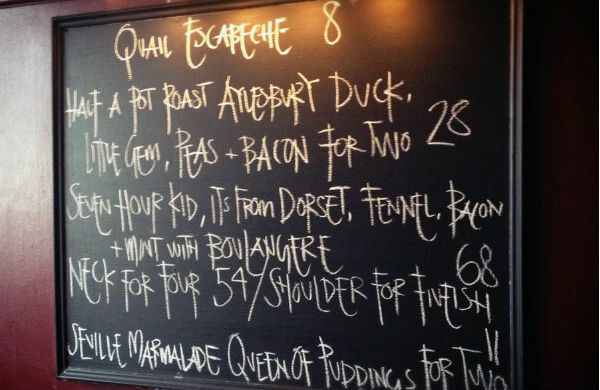 During lunch, though, you get to see how a cracking pub does a cracking roast. Look out for the Yorkshire puddings (you can’t miss them) and save room for a sticky toffee pudding dessert. A place for feasting. The Canton Arms is my favourite of the Anchor and Hope family - a group of gastropubs and restaurants, which over the last decade has had a tremendous impact on the quality of London’s food scene. Like the Drapers, you can’t go wrong with their large sharing plates. A central London option! Slap bang in the middle in fact – tucked behind Leicester Square. Unlike the others mentioned above, this is more restaurant than gastropub. The food is flawless, more inventive than most Sunday menus, and great value: £24.50 for three top level courses. 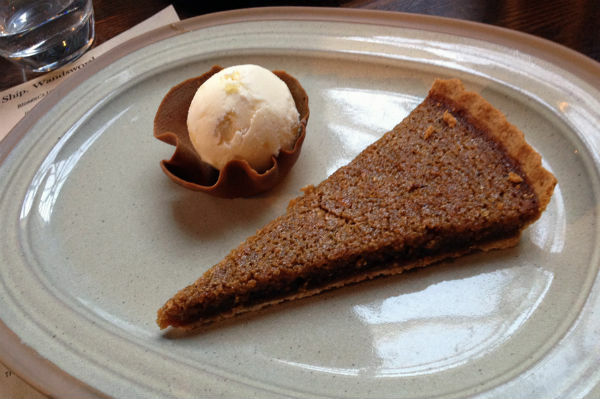 Make sure you save room for the brown butter tart. Hungry? Find a deal for London restaurants.